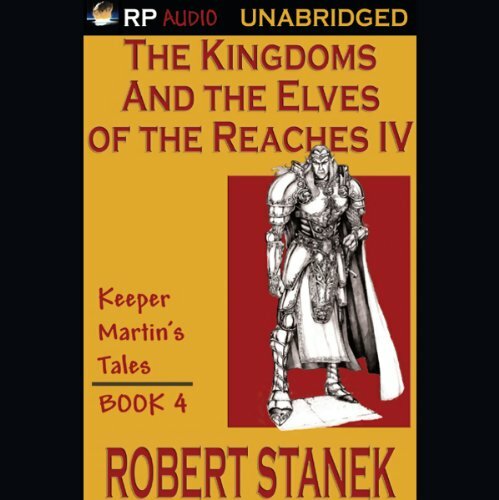 Here is the fourth volume in Robert Stanek's magnificent Keeper Martin's Tales, the series fans have called the Star Wars of fantasy. 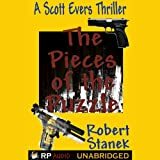 Filled with mystery, intrigue, adventure, and magic, the audiobooks transport us to a world unlike any other. Praised as an instant classic, Robert Stanek's outstanding series has quickly become a favorite.To turn back the tides of war, Queen Mother sent her most trusted warriors on a perilous journey across the Great Sea. But the elves were betrayed by one of their own. Only a handful survived the ambush that followed, only two reached the far shores. But they did not find quick allies. They found a kingdom under siege and a shattered alliance. The elves proved themselves to the men that defended Quashan'. They, along with the mysterious Xith, the would-be mage Vilmos, Princess Adrina, and their friends helped turn the battle in Great Kingdom's favor.For their support, the elves were granted an audience with the king. Yet great deeds could not undo the past, or change the prejudice of men. Elves and men are enemies, as it has been through time. The Alder King had his own concerns. The kingdom alliance was shattered. An ally, and a great king was dead. War between the kingdoms seemed inevitable. If there was any hope of restoring the alliance, he must rid the kingdom of the enemy's spies.